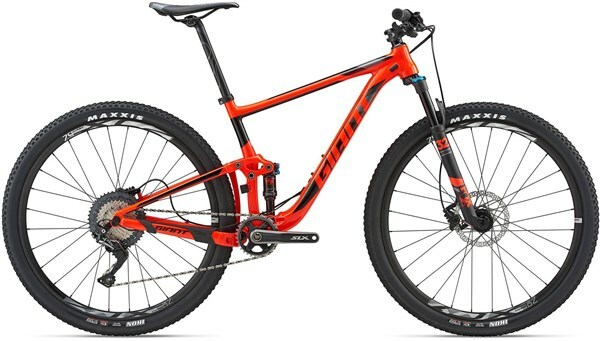 An XC bike for the prospective racer, the Giant Anthem 29er 2 is an alloy-framed full sus cross country bike that gives excellent value for money, especially considering its performance. With 100mm travel front and rear with Fox suspension, climbs are easier than ever before, while descents can be taken on with full confidence. 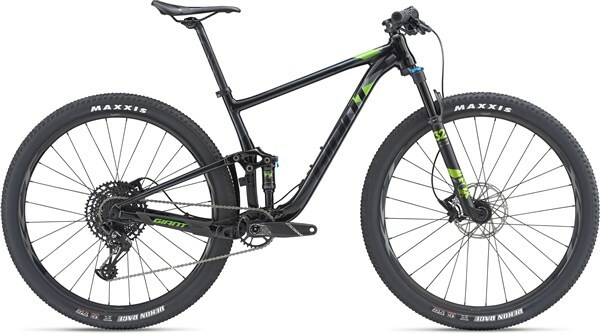 Built on a totally reengineered ALUXX SL aluminium frameset featuring 90mm of rear suspension travel and 100mm up front, this all-new 29er delivers speed, balance and control on fast, technical XC terrain. It’s optimized for larger-diameter wheels with an updated Maestro suspension system that’s configured for a tighter rear triangle. The updated geometry makes it a quicker and more agile on climbs and descents. The trunnion-mount shock produces a smooth, supple feel with improved pedalling efficiency. A new Advanced Forged Composite upper rocker arm is lighter and stronger than the previous aluminium version. And Boost wider hub spacing improves wheel stiffness for better control in rugged XC terrain.